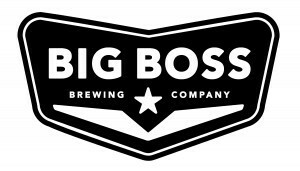 Beer Business Radio | 033: Brad Wynn – Big Boss Brewing Co.
033: Brad Wynn – Big Boss Brewing Co.
Brad Wynn is a co-founder and the brewing supervisor of Big Boss Brewing Company in Raleigh, NC. Brad teamed up with Geoff Lamb in 2006 to open the brewery, shipping its first beer in the 2nd Qtr of 2007. Prior to starting Big Boss, Brad had been professionally brewing for many years with Victory, Wild Goose and Native Brewing Companies. Early on Big Boss bought a bottling machine in Germany and they did not go over and take a look at it…….They asked questions and got answers, but something must have been lost in translation. The machine arrived and while it was a truly beautiful piece of German machinery, it needed so much work that they are 5 years in on this ongoing restoration project. Being able to pay your bills, hire people and create a beautiful local business are the things that Brad finds the most rewarding aspects of running his brewery. Website – Big Boss Brewing Co.